The diners gathered at the feast we celebrate today failed to remain friends for long. Europeans on American soil took far more than they ever gave. 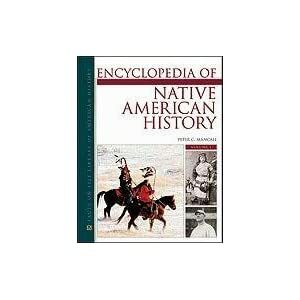 Native Americans found themselves run off their land and written out of their rights when the descendants and fellow-travelers of those they fed at Plimoth founded a nation in Philadelphia. NPR and lower-brow advisers on matters of etiquette warned the nation against the political squabbles prone to diminish our pleasure in baked squash. If a table talk turns from turkey to taxes, it is time to purvey the pumpkin pie. If the Natives who fed the Pilgrims when they could not figure out how to fertilize their own soil (give a man a fish, and you feed him for a day; teach him to fish, and he will deplete your waters; show him how to wrap a fish around his seed corn, and he will grow fat on your land) had insisted upon a meaningful conversation over their meal, they might have found a way to avoid ceding their land with their corn. Unlikely? Yes. Preferable to decimation by those you fed in their time of need and doubt over what might have been different? Definitely. So in a time of national crisis, I prefer to think of issues probed over potatoes (no yelling over the yams) in pursuit of a truly common good. The Americans left to squat at the base of European squatters’ table in the iconic image above, inspire me to shout across the centuries, “Stand UP!” As seated students succumb to pepper-spray and the “99%” flee public squares, those of us at private tables possess the power and the responsibility to speak. Think deeply about whom we ought thank for any plenty that persists in our lives. The Pilgrims bit the hands that fed them. We can at least thank those who gave everything to strangers unworthy of their trust by taking heed not to repeat their mistake. Around our tables we likely share a language whether English, Hindi, Mandarin, Polish, Spanish, Wolof, or whatever. The food itself offers a mode of communication across the chasms that separate the pumpkin from the pecan pie preferrers. Today is a day to share a slice of each; discuss their comparative merits; and find a means to coexist. 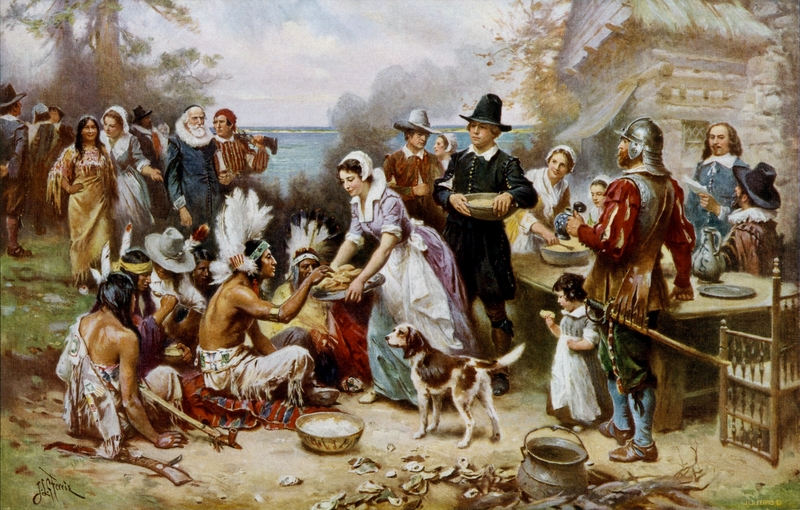 This entry was posted in Diversity, History and tagged Native American, Plimoth Plantation, Thanksgiving. Bookmark the permalink.